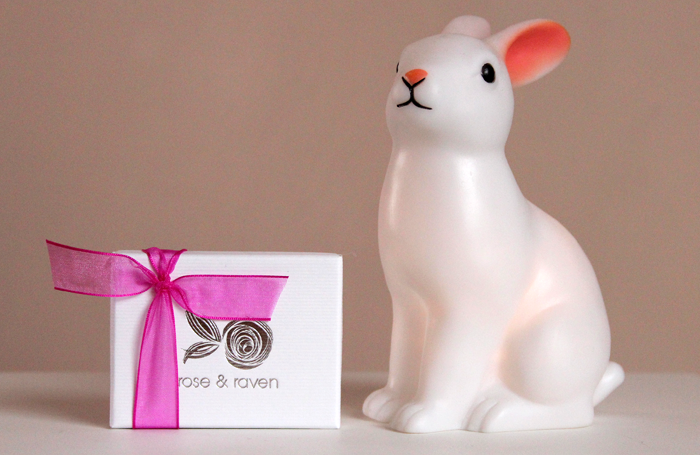 Very cute necklace, and we are rabbit lamp twins! This is so lovely, I'm obsessed with pretty little dainty things like this! That necklace is absolutely gorgeous! It's so delicate!! I barely wear any jewellery, because I wear the same two things every single day and have done for the last 2 years. The first year me and my boyfriend were together he bought me a silver bracelet and a few months later, a topaz necklance set in silver. I never take either of them off if I can help it. They are pure tokens of his love and I adore wearing them to remind me of that. This is a really pretty trinket. Your ombre tips are nice too. I hadn't heard of this brand before and spent ages looking through the jewellery. I now have a wish list the length of my arm. 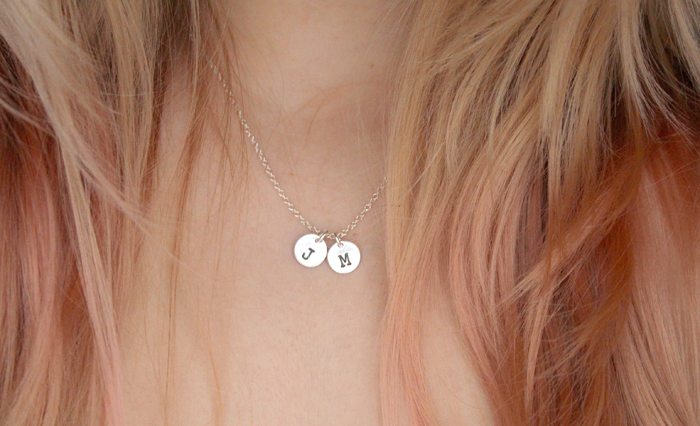 This necklace is the cutest! aww i'm with you on this one - i love sentimental pieces, especially in the form of jewelry. this is such a sweet necklace and it will easily look great will almost anything :) i'm heading over to etsy to browse right now... my etsy itch is back after reading your post! this is so sweet! what a lovely gift. etsy is the best for beautiful finds like these - i've just ordered necklaces from an etsy store for my bridesmaids! I'm not very sentimental, BUT my boyfriend got me a Louis Vuitton bracelet that I would guard with my life. I was so obsessed with it for ages and he got it for me on xmas a couple years back and now you can't find it anywhere! So cute! I have loads of sentimental things! So adorable! 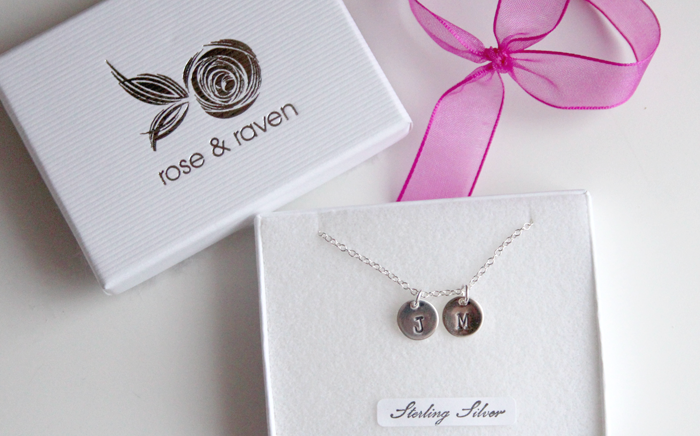 This would make a great gift for my mum with my niece and nephews initials - thank you for the idea. Wow I love this necklace, would be so nice to get my initials around my neck. May make a good present for friends so will be saving this! I love understated jewellery, particularly if it's meaningful. Such a gorgeous necklace! I love this so much :) I really like dainty jewellery like this.